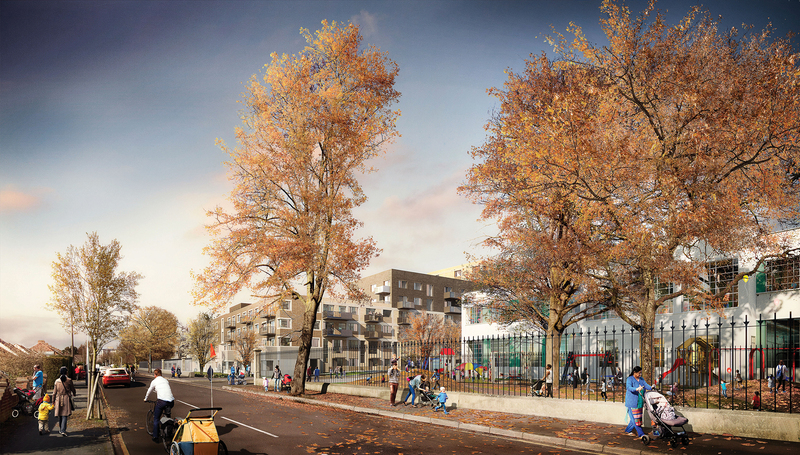 SEGRO and Barratt London have submitted a planning application to Hillingdon Council for a new mixed-use development to transform the former Nestle Factory site. The site has a rich history. The first factory on the site was opened in 1914 by Eugen Sandow, the former World’s Strongest Man 1889, where he produced his ‘Health and Strength Cocoa’. The factory as bought by Nestle in 1929 and closed after 80 years of production when Nestle moved to new facilities in Derbyshire. Throughout the past year SEGRO and Barratt have held numerous public exhibitions, workshops and meetings with the community. The feedback has shaped the final proposals to ensure they reflect local needs and aspirations. The employment area of the scheme has been developed to reflect a design and layout that meets the needs of modern industrial occupiers and major brands. There will also be opportunities for local businesses to tender construction contracts, commercial spaces and training packages, including apprenticeships. More details can be found at www.formernestlefactory.co.uk where there is a link to the Hillingdon Council website in order to support or comment on the planning application.